Comments: This Institute is highly recognized one. I like the mentors. Ther are extremely helpful and knowledgable. Would like to learn more course over here in future. Comments: Had a great time here leraning was fun. Nice faculty very very helpful. Comments:The Best And the smart teachers. Comments:The teaching is good and exercises were good for practicing.In short the classes are excellent for studying computer courses. 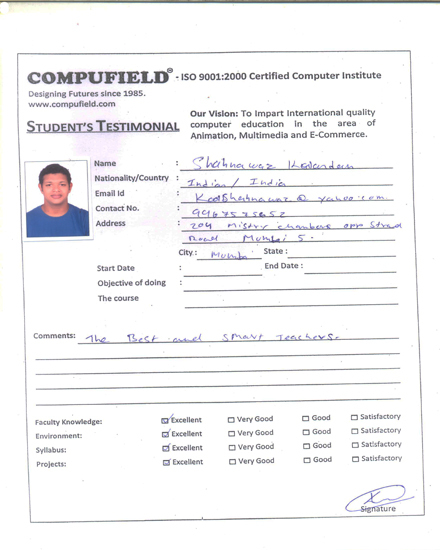 Comments:Great course worth every rupee looked for so many place but COMPUFIELD gave me the complete freedom to do the course at my pace. It was a wonderful time. 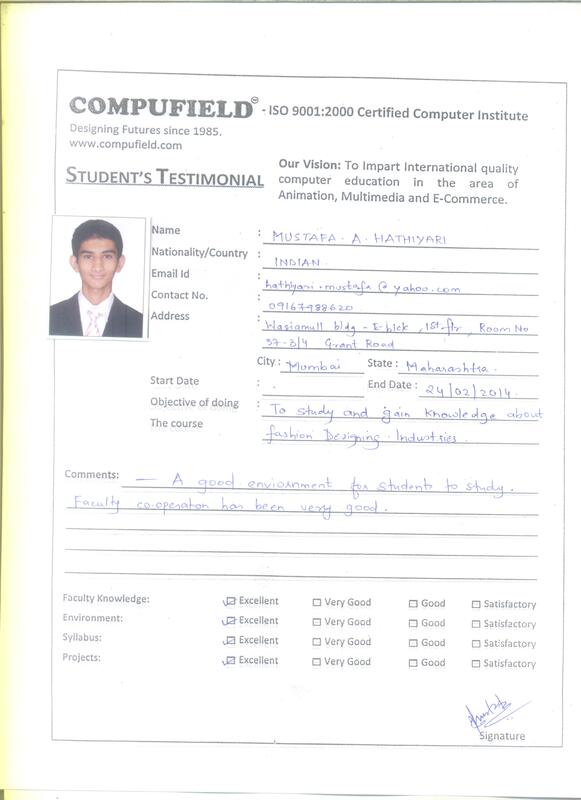 Comments: A good environment for students to study. Faculty co-operation has been very good. Comments: Very Organised and systematic teaching. Comments: I had fun editing videoa on FCP and learnt new things about film making and colour correction. Look forward to do more courses in vacations.